Many years ago, I prayed a simple prayer. Lord, please teach me how to pray. Later, after my daughter got married; I was sent by The Lord to Seoul, Korea to be a tent maker for 13 years. It was an awesome experience. I learned more than words can express about how to pray. The Koreans not only taught me how to pray, but they also taught me the way to pray. I learned that prayer was not something that you did periodically when you were faced with a severe problem, but prayer was a way of life to the Korean people. The Koreans prayed before they drove their cars, they prayed upon entering their churches, they prayed everyday for their children, and they prayed in the City Hall area when their country needed help. The Koreans’ prayers changed their nation during hard times over and over again. I asked my associate if she was ever concerned when one million North Koreans were lined up on our northern border? She said, No, because we will go to the City Hall area, and thousands of our Christians from many churches will pray together. She told me that the good Lord always answered their prayers, and so they didn’t worry about their circumstances. I learned that The Korean Prayer Warriors also had an indomitable faith in The Lord’s supreme and almighty power to answer their prayers. Their faith was so strong that the results were already evident to them in their minds. If only all people could learn the power that the church united in prayer has in every area of their lives. What a changed world this could and would be if we simply would pray ,”Thy Kingdom come; Thy will be done in earth as it is in heaven.” When we pray as Jesus Himself taught us, then The Holy Spirit moves mightily to bring The Kingdom of God into our territory. The Lord wants His Kingdom to be manifested in our lives, and He wants what is already bound in heaven to be bound on earth, and He wants want is loosed in heaven to be loosed on earth. I lived in Korea during one of their elections. The conservative candidate was winning, and then we looked at the TV Screen, and the conservatives’ name and photo were switched, and it looked like the leftist candidate was winning. The leftist was pronounced the winner, and the conservatives asked for a recount which they were not allowed to have. The leftist President of South Korea was exposed for what he was, and he later committed suicide when he came under investigation. During this time; many of The Christian pastors along with their members visited the City Hall area in Seoul, Korea to pray. Now, to the glory of God, South Korea has a wonderful, Christian President that understands business and every aspect of government because he was head of the Hyundai Corp. He is also are true Elder in his church. Praise God that the Christians prayed for their country, as we are commanded to do in The Word of God. There is unlimited power in the prayers of agreement among the Christians who come together in the Name of Jesus Christ. That is why He came to give us the Keys to The Kingdom of God. He wants us to take our territories for His Kingdom honor and glory. I learned that this can be done when the Christians come together to pray for every need. It is a beautiful experience to go to The Osanri Prayer Mountain, and see the people praying in the many daily services, and in the prayer grottoes. Prayer in Korea is not the last resort, but it is the first priority. I do not worry about the future of the Christian Koreans because I know that they will turn to the Lord, and they will overcome every obstacle through the power of prayer, faith and total trust in The Lord’s mighty power. 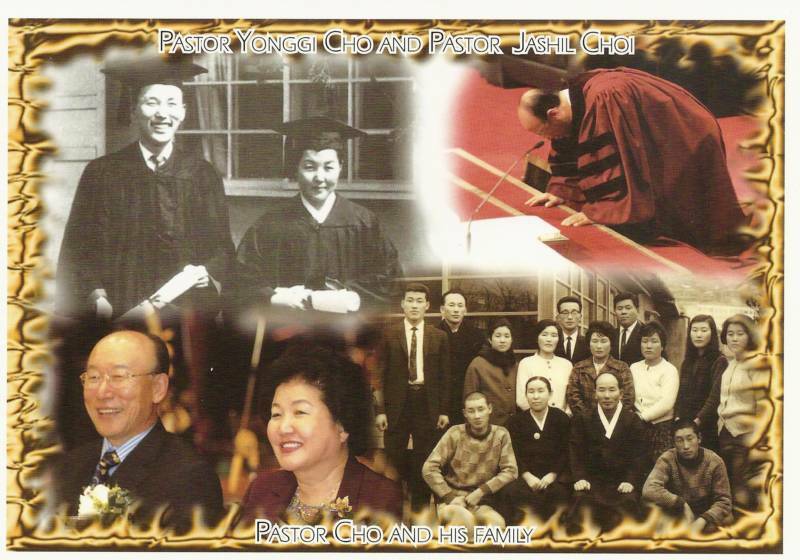 Dr. Yonggi Cho always says that he simply prays, listens and obeys. It is very simple, but the Korean Way of Prayer is amazing, and the answers are life-changing, nation transforming, and out-of-this world.